FIRST WORLD WAR CENTENARY Exhibitions, installations, set-ups, parades and conferences to commemorate the First World War Centenary in Cittadella. A lot of events and initiatives during May and June. In the town center the Alpini of Cittadella will set up a field hospital on the main square, Piazza Pierobon, and they’ll organize an exhibition in the church Chiesa del Torresino. On top of the keep of the northern gates, Porta Bassano, a machine gun of the First World War will be positioned like during the War. In addition conferences, parades and commemorative concerts. The tourist office of Cittadella organizes guided tours of the town which include the famous medieval Parapet Walk, the only elliptical one in Europe which is accessible on all its length. The tours include also the visit of the town center with the most significant monuments regarding the First World War like the Austro-Hungarian cemetery with the remains of 17644 unknown fallen of 7 different countries of the Empire of the House of Habsburg and more than 1200 fallen whose names are written on the memorial stone in the central part of the cemetery. From Saturday May 9th to Sunday June 28th : Exhibition in Chiesa del Torresino with original finds of the First World War. Openig hours: Monday 9 am-12:30 am, Tuesday – Fryday 3 pm- 7 pm, Saturday- Sunday 9 am-12:30 am / 3 pm-7 pm. 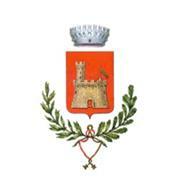 Saturday 30th and Sunday 31st May: Educational workshops in Torre di Malta. Sunday 31st May: On the main squares Pierobon and Scalco set-up of a field hospital. Sunday 31st May: On top of the northern keep, Porta Bassano, set-up of a machine gun post.